It’s a genius idea when you think about because what living, breathing human, with a beating heart, could ever turn down a hug from a dog? And an adorable Sheepdog at that? 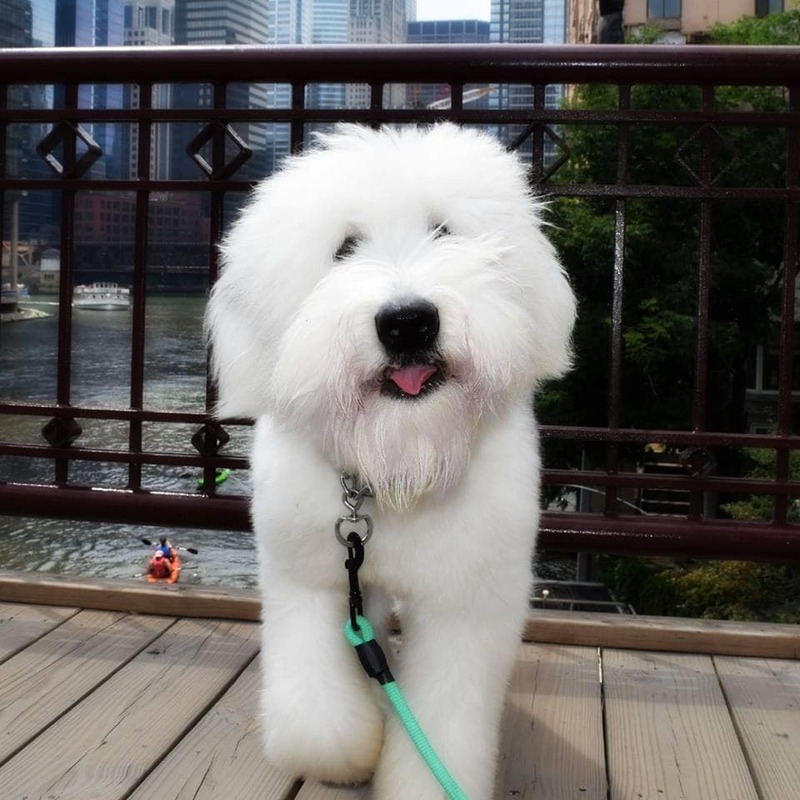 Santiago, an Old English Sheepdog gave out hugs to the generous people of Chicago, and managed to raise hundreds of dollars for Whole Cities, a foundation aiming to improve individual and community health through collaborative partnerships, education, and broader access to nutritious food. Santiago sadly lost his mother and siblings at birth and it was later discovered he was deaf. However, he has decided not to let his disability hold him back and used it as inspiration to help others in need. He is somewhat of a ‘dog-activist’ as he has collaborated with P.A.W.S. Chicago and participated in a benefiting event for the Anti-Cruelty Society. What a pooch!